Project "Sztutowo or Stutthof?" The taming of the cultural landscape. | Muzeum Stutthof w Sztutowie. Sztutowo or Stutthof. The taming of the cultural landscape. Project "Sztutowo or Stutthof?" The taming of the cultural landscape. The biography of the landscape is understood as the people’s memory which carries the information about the past and the present of the researched space. The key to reading this biography is the "ethnographic interview" – starting a dialog with the witness who has experienced the lieu de memoire and landscape under pressure. 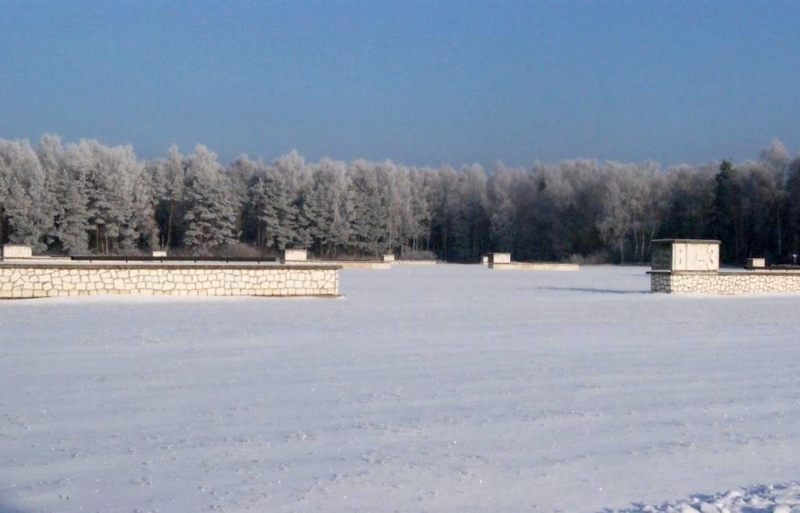 The main objective of the project is to analyze and identify the changes in the physical and cultural landscape of KL (Konzentrationslager) Stutthof – both in context of time (from the end of the Second World War until the present day) and space (the region of Żuławy, especially the villages surrounding the former concentration camp). The key aspect of the project is the anthropologic study focused on the local society - its consciousness and actions relating to the KL Stutthof, as well as the methods of taming of the “stigmatized space”. This stigma can be defined on two levels. The camp itself a place of torment and genocide and the region of Żuławy an area devastated by warfare. On both levels we can speak of memory, which influences current attitudes as well as the notions of the past. This is why we can call KL Stutthof a “place of memory” (lieu de memoire). An important factor in the project is that social and environmental changes have brought new, additional characteristics to the investigated landscape. KL Stutthof, initially a symbolic space, has now become a landscape under pressure. At the current stage of the project, one of the objectives is to analyze the extent to which this change has been influenced by social context (the perception and the actions of the local society). It is also necessary to point out the main research problems arising from the change. Those problems will be discussed from the points of view of the following disciplines: anthropology of landscape, anthropology of memory, landscape archeology. The discussion will be based on the results of the field research. The project assumes an interdisciplinary work, both in terms of methodology and empirical approches (fieldwork). Cooperation between anthropology and archeology seems to be vital here, as it will allow to perceived the studied physical space in its cultural context as well as to study the biography of the landscape. The biography of the landscape in context of anthropologic study is understood as the people’s memory (both on the individual and social level) which carries the information about the past and the present of the researched space. The key to reading this biography is the “ethnographic interview” – starting a dialog with the witness who has experienced the lieux de memoire and landscape under pressure. Archeology, on the other hand, will be able to observe the variations in the material culture of the camp from the time of its functioning, abandoning, degradation (formation processes) and finally functioning as a museum. The participants of those processes have, over the years, given a wide range of meanings to the camp and viewed it from different perspectives as an element of the landscape. It seems that the term “concentration camp” – so important in the modern world discourse – constantly begs for a broader context of understanding. Before the fieldwork, archeology and cultural anthropology students will attend a preparatory course, which will familiarize them with the methodology and characteristic features of both disciplines, allowing them to work together efficiently during the project. Archeological data collected and interpretations will support anthropological survey, consequently the former will be reinterpreted by the latter. The main objective of the project, based on the anthropologic perspective, will define the range of used anthropologic and archeological methods.